I asked a handful of mommy friends yesterday, "what do you want for Christmas?" We actually all laughed at the idea. At the craziness...at the sheer audacity of thinking that we could collectively enjoy a spa day in these early days of muddy footprints, spaghetti stains and diaper changes. Nope, spas are reserved for Other People. They are not ours to attend. Spa pampering...in the comfort of your own home! 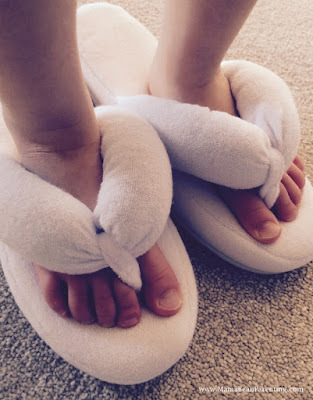 As if that wasn't enough - because let's face it, everybody loves slippers - there's one being offered up for free in today's giveaway! The Gourmet Gift Basket Christmas Giveaway! 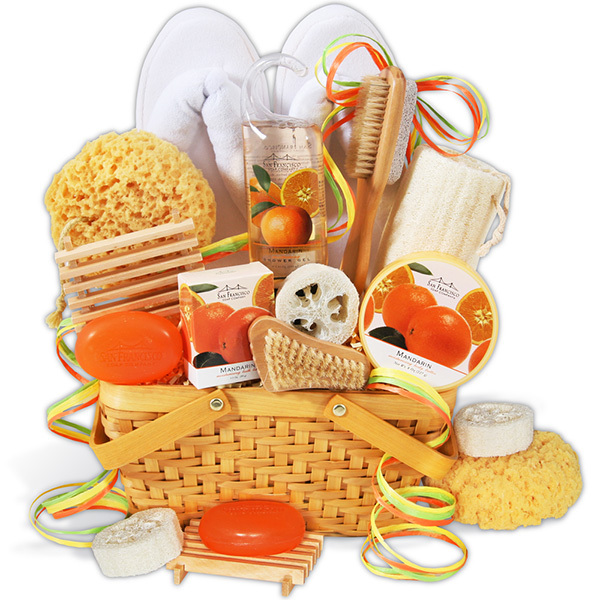 In celebration of Mama Bean's Christmas feature, Gourmet Gift Baskets are offering up one of these gorgeous Pamper Baskets to one lucky Mama Bean follower! 2. “Like” and comment on this post on my Facebook page. The giveaway is open to residents of the U.S. The giveaway will close at 19:00 (GMT) on December 9th, 2015. Good luck and happy pampering, mamas!